- 11 x 14-inch silver gelatin print by the important American photographer celebrated for his work in fashion and for his portraits often in the style of classical Greek sculpture. 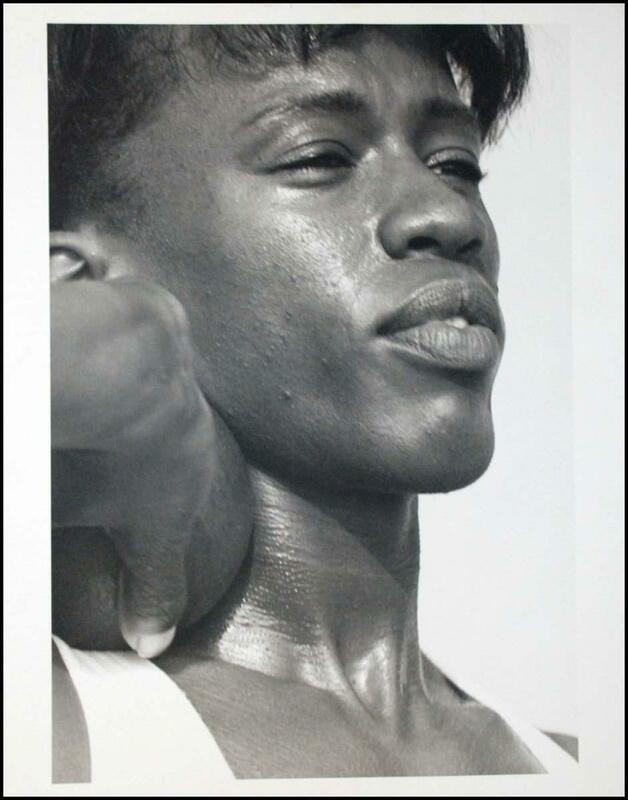 This image is of Olympic athlete Jackie Joyner Kersee, taken in 1987 at Point Dume, California. Blind-stamped by Herb Ritts, lower right. One of the prints sent to Rolling Stone for their 1988 article on her, an alternate of Ritts' famous image of Joyner-Kersee running on the sand with her own shadow. Printed on a warm tone paper, it has been taken with Ritts' trademark shutter drag, slightly blurred effect, typical of many of his beach shots. Being a working print, there are some imperfections from being handled by the magazine, including a small bend on the top right corner and some mounting remnants on verso and recto upper edge, none affecting the image area.